Portland houses the International Test Garden for roses, which basically means there are thousands of different varieties of the fragrant flower planted in a handful of large gardens around town. Thanks to our warmer than usual weather most of these are already in bloom, so earlier this week I decided to organize a picnic among the roses. To start I made a salad topped with strawberries straight out of my garden (those are already in season too!). For the main I made a tasty dish with campanelli noodles, caramelized onions, fresh herbs, goat cheese, and a little bacon. 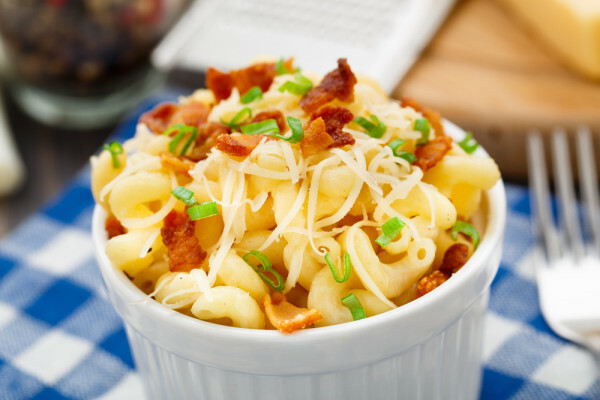 While I thought of this as a fancy pasta dish my boyfriend pointed out that it was really just fancy mac and cheese. Tom-a-toes Tom-ah-toes, people! Taco Bell launches its long-anticipated (or dreaded) breakfast menu tomorrow, and it’s about as healthy as you’d expect. Though receiving good reviews on taste, Taco Bell is not going to do your health or waistline any favors with their breakfast options. Though I personally wouldn’t recommend eating Taco Bell any time of day, breakfast there is definitely something to avoid. The breakfast options fit right in with the rest of Taco Bell’s menu when it comes to calorie counts and sodium content. 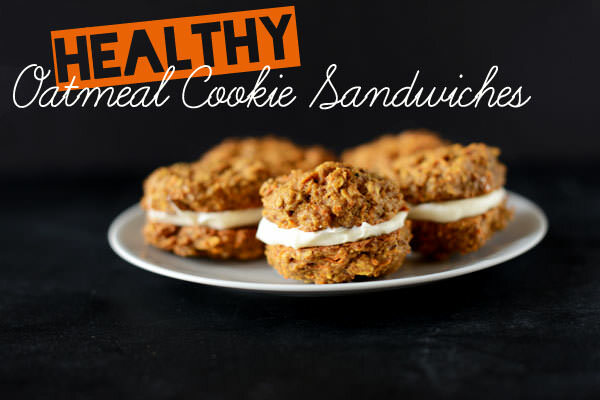 Instead of rushing out to try breakfast at the nearest Taco Bell, why not make something better for you? 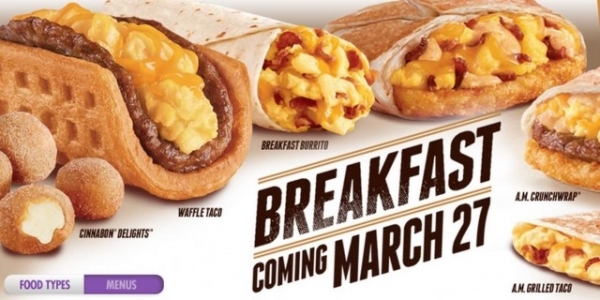 Here are some of the Taco Bell breakfast items, and our suggestions of what you could eat instead. Doughnuts have been stuffed with chocolate, jelly, and cream for as long as doughnuts have been baked. They’ve even been used as buns to hold burgers with bacon and fried eggs. None of those are really great for you. In fact, we named that 1500-calorie Krispy Kreme doughnut burger by Paula Deen one of the worst things she ever did to food. But we liked her innovative culinary spirit. We liked where her head was, and we also just like doughnuts like everyone else. We kept the eggs, bacon, and ditched the glaze and beef. 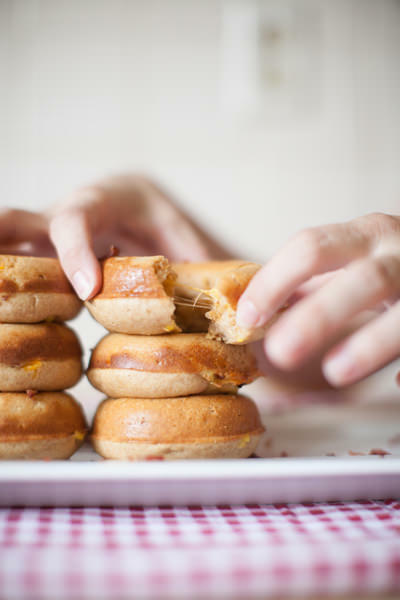 What we whipped up, and can’t wait for you to try, is the ultimate in breakfast sandwiches – bacon, eggs, and cheese all stuffed inside our lighter cake doughnut. 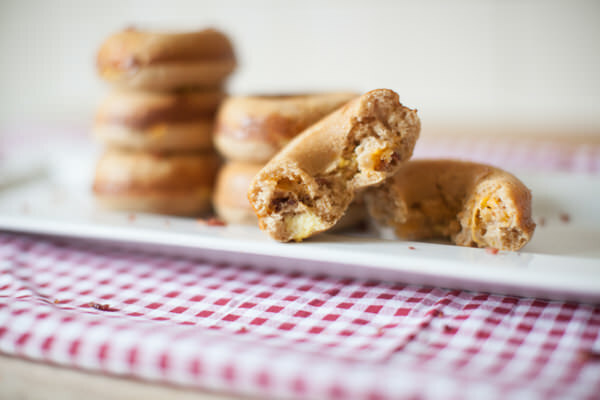 It’s the Ultimate Bacon, Egg, and Cheese Stuffed Doughnut. It’s savory. It’s salty. It’s a little sweet. It’s also LESS than 200 calories. One whole doughnut weighs in at 194 calories. If I see a club sandwich on a menu, I’m ordering it. End of story. No matter how you stack it, I rarely find a sandwich that has a better combination of ingredients that meld so perfectly together. That first bite through the crisp lettuce, juicy tomato, sweet ham, and salty bacon sends the endorphin center of my brain to the realm of utter satisfaction. 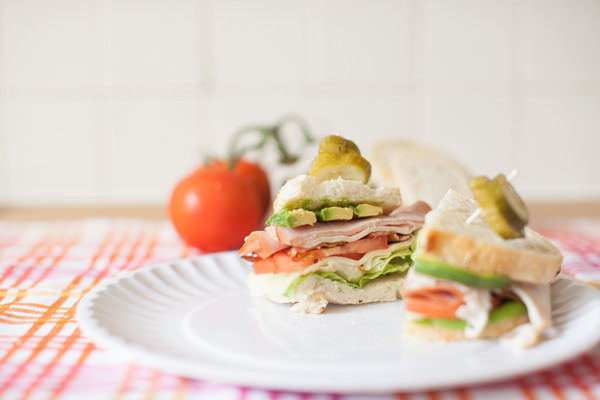 Eating these sandwiches at a restaurant is anyone’s gamble. It’s all pretty processed, and I know that. The salt is higher than it should be, the meat came from God knows where, and all in all it’s never quite as good as anything I make at home. So I try to take my own sandwich makings to the office to build my own for lunch. It’s always a far better option than what the corner deli is dishing up. There are some pretty crazy, weird and interesting records in The Guinness Book of World Records. 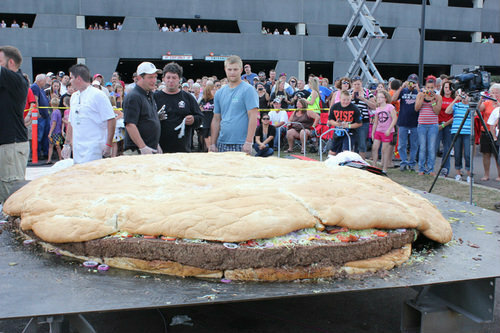 This past Labor Day weekend, a ridiculous world record was broken when Minnesota’s Black Bear Casino made the world’s biggest hamburger. Why did the casino decide to make a colossal hamburger? They would say, just for the fun of it. As reported by Eater.com, Jerry Bayerl – Black Bear Casino’s executive chef – recently decided he wanted to make the world’s biggest burger. At first, he thought the record for the biggest burger was 200 pounds, but after some extensive research he found out the previous record for the world’s biggest burger was 881 pounds. In order to secure the new title, Jerry made sure his bacon cheeseburger clocked in at an amazing 2,014 pounds! Cooking the cheeseburger was no easy feat. It required a crane, parking lot, and a gigantic homemade oven. As the self proclaimed queen of ice cream in my family, I’ve tried some pretty out there flavors over the course of my life. Cappuccino chocolate chunk, bubblegum, birthday cake, french toast; my adventurous palette has never led me astray! But I just don’t get the whole bacon in dessert thing – it doesn’t seem right. Bacon belongs on my breakfast plate next to my eggs, toast and and coffee – not on my ice cream sundae. But, if Burger King has anything to say about it, that’s exactly where it belongs. 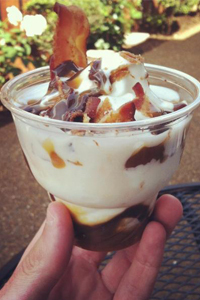 The fast food giant has introduced a bacon sundae that features vanilla soft serve, chocolate sauce and several pieces of crispy bacon. The over-the-top treat will set customers back about $2.49 and is only available at a handful of locations in Nashville, Tennessee. Restaurant menus are getting better and better all the time. More and more establishments are including ingredients and nutrition information for their consumers. One chain that has appealed to the health conscience and the fast food addicts alike is Chipotle. Chipotle has always offered fresh, high quality ingredients and allowed the customer to make their meal tailored to their desires. They have also been very forthcoming in their products, helping the health-conscience make informed decisions. However, a recent food faux pas has required the CEO to make some necessary menu changes. Chipotle’s pinto beans have always been prepared with a small amount of bacon. This is not advertised clearly on any menu. However the staff has always been instructed to inform customers of this fact if they aren’t ordering any type of meat, just to insure the assumed vegetarian isn’t consuming meat. The web site always advises vegetarians and vegans to choose the black beans over pinto as they are vegan. Recently a flaw in this plan was exposed. The meal offerings at Denny’s just get more and more weird. For a limited time, Denny’s is offering a special menu devoted to bacon. Called “Baconalia”, the 7 item menu includes bacon breakfasts, bacon pancakes, bacon sandwiches and even a bacon ice cream sundae. The ice cream sundae begins with a vanilla ice cream base, topped with maple flavored syrup and a “generous serving of diced hickory smoked bacon”. The layers are repeated and the sundae is finished with a final dusting of bacon. Did you ever think that you could eat bacon and still take good care of your heart? 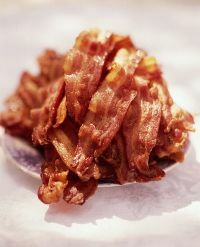 Well, not all bacon is synonymous with the artery-clogging saturated fat that so many of us avoid in our regular diets. Bacon is a well-enjoyed protein that, in moderation, can be part of a balanced diet. If you enjoy the taste of bacon but are watching your fat intake, don’t eat it morning, noon and night. Incorporate lower-fat center cut bacon (look for a brand such as Oscar Meyer that touts 30% less fat than the leading bacon) into your favorite healthy recipes, such as this hearty skillet dish with robust flavors and seasonal vegetables. The best part? 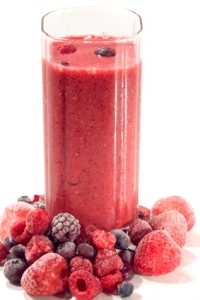 A little bit goes a long way – and you won’t even miss the extra calories. If you’re trying the Atkins Diet this year as part of your weight loss goals or New Years Resolutions, then you’re probably going to start missing carbohydrates pretty soon. As an admitted carb-addict, I could never go for more than a few hours without a tasty piece of bread or something like that, especially in the morning. Bacon and eggs for breakfast once a week sounds nice; bacon and eggs for breakfast every day of the week does not sound like such a good idea to me. Here are some different breakfast ideas that are still Atkins friendly and won’t send your blood sugar levels soaring. Who would have thought it was possible? Pancakes and waffles without all the carbs? Score! 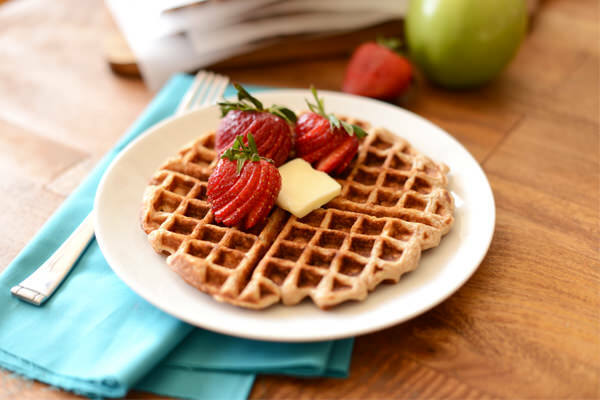 Try these Low Carb Pancakes or Low Carb Waffles to see for yourself how tasty low-carb can be. And, of course, you’re going to want to top those pancakes and waffles off with some Low Carb Maple Syrup, aren’t you?